The twin legends of Welsh Prince Madoc and Irish St. Brendan are based around the idea of ancient explorers who set their sights on the great unknown: the West. The tales of these two marauders contain thematic parallels common in Christendom mythos, elements of discovery and exploration that starts with a turn of the head towards the west, driven by a fascination of the wide-open expanse of ocean ahead of them. The idea of the West stretches back to the days of ancient Greece, the Egyptians, and countless other traditions, steeped in the folklore of epic journeys through dangerous lands filled with dragons, sirens, death and despair that only a true hero can forage on through to the other side to arrive at Paradise. Whether Madoc or St. Brendan actually reached the shore of North America is still up for debate. Evidence of ancient Irish symbology found on the eastern side of the continent seems to support the existence of a European group that perhaps set up a small colony. Some experts have dated the petroglyphs to somewhere between the 8th-12th centuries CE, which further supports the timeline established by oral tradition. Dr. Barry Fell believes the symbols to be part of an ancient solar calendar, whereby a message would be revealed as the sun rose in the east on the morning of the Winter Solstice. According to Appalachian Magazine, in 1982 a small group decided to test this theory out. The significance of the petroglyph findings in Dingess, West Virginia lies in its connection to the calendar of holidays specific to the Christian tradition and potentially places the Irish in America centuries before Columbus. It also aligns more so with the legend of Madoc than that of St. Brendan, whose journey would have taken place roughly around the 5th century CE. When examined, the legend of Madoc seems more plausible than that of St. Brendan, who set sail in a single boat with a crew of somewhere between 20 upwards to 158. The tale of Madoc tells of a fleet of ships (with little information about the supplies taken) that took off from the coast of Wales, most likely island hopping along the way. However, this is not to disprove the voyage of St. Brendan, the legitimacy of whose journey was proven beyond a doubt by the recreated voyage led by Tim Severin in 1986. Severin and his crew island hopped along the north crescent of the Atlantic, successfully retracing the footsteps of ancient Irish explorers. The naysayers who deny the possibility of ancient mariners crossing the Atlantic far before the first wave of colonization led by the Spanish and Portuguese post-1492 also deny the amazing feats of ingenuity and capabilities of human cultures, the evidence of which lays scattered on the ocean floors and in the muddied topography of the rugged North American landscape. Some point to the Devil’s Backbone in of Charlestown State Park, Kentucky as the site of Madoc’s legendary fortress, the central location from which the Welsh explorers fanned out and allegedly intermarried amongst indigenous populations. The fortress has since been destroyed by the forces of time, but supposedly in 1799 early settlers unearthed six skeletons that bore breastplates inscribed with a Welsh Coat of Arms. This evidence, added to anecdotal proof of Welsh-speaking natives in the area, all lend support the idea that the Welsh were in North America in the 12th century. 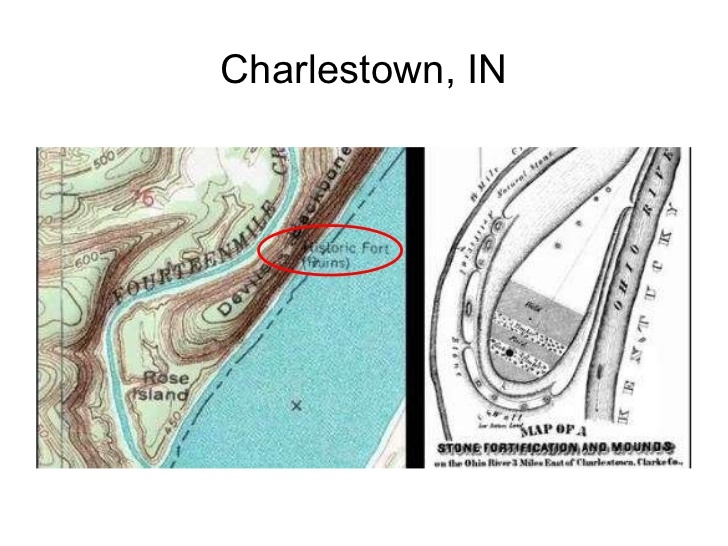 One article also includes the mention of Native legends of ‘yellow-haired people’ who settled in the areas of Kentucky, Southern Indiana and Ohio in an area referred to as the “Dark and Forbidden Land.”* While this may seem to be overwhelming proof of a Welsh presence in the area, some experts prefer to believe that the natives had engaged in an extensive network of trade that would have allowed them to have access to such materials as the breastplates. However, this reasoning discludes the Welsh specific inscriptions on the breastplate, which would have inevitably resulted from trade with Welsh populations, leading to the proposition that one of these groups was capable of sailing across the atlantic in order to establish economic relations with the other. Which is more plausible? Native Americans sailing to Wales, or the Welsh setting out across the Atlantic? 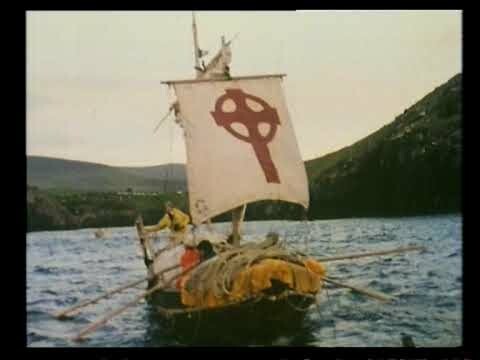 While it is important to take note of the incredible, fantastical details of the legends of Madoc and St. Brendan, there is no sense in denying that such journeys were possible, and were in fact dreamed about by the Welsh and Irish along with countless other Pre-Columbian European cultures. The idea of the West has long resided in Western consciousness and the denial that others may have traversed the deadly seas to arrive in North America appears to be silly and ill-founded when one begins to uncover the multitude of legends that tell of such journeys taking place. From the Irish to the Welsh, and to the far east in China, it looks as if multiple foreign discoveries of the Americas could have taken place far before Christopher Columbus set out in his humble ship and staked his claim in the New World. What’s your favourite Pre-Columbian Contact theory? Comment below or send us an email at intotheportalmailbox@gmail.com - We would love to hear from you! And, be sure to check out our full series on Ancient Explorers here.